He is one of only a small number of show quality 'blues' for which there is a surviving photograph from the mid 1890's. 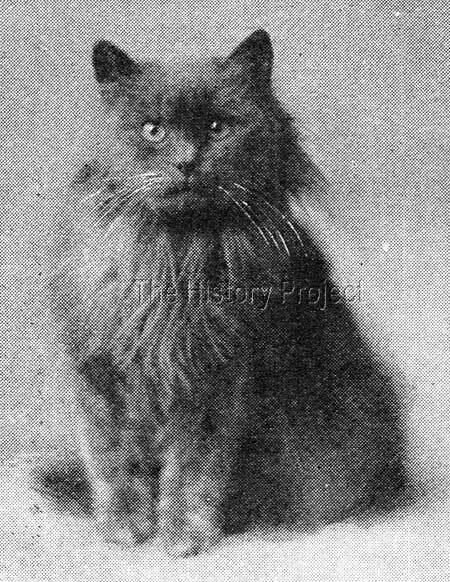 As to when he became the property of Mrs. McLaren Morrison is unclear, but he was probably purchased at the time of his joint win as a kitten at the Crystal Palace Show in late 1893. It was customary in those times to list exhibits which may be for sale and provide a catalogue price for which they could be purchased through the offices of the Show Secretary, acting as an impartial third party agent. It seems likely that being one of a pair, this could certainly have been the case. In support of this theory, he does then appear in Mrs. McLaren Morrison's name, in Volume II of the Register of the National Cat Club, which covers cats registered up to the end of March 1894. This is within only a few months of his magnificent kitten win at the Crystal Palace. Of his illustrious owner, we have much more information. 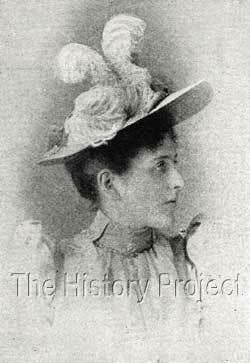 Suffice to say, that she was one of Britain's most avid importers, of both cats and dogs, a well-known fancier in both domains, a strong supporter and Committee member of the National Cat Club, as well as a keen member and exhibitor with the Ladies Kennel Association. 'Kingfisher' who had formerly been named 'Blueberry' had been previously owned by Mr. Gambier Bolton, and had won a first prize at Crufts, in 1895. 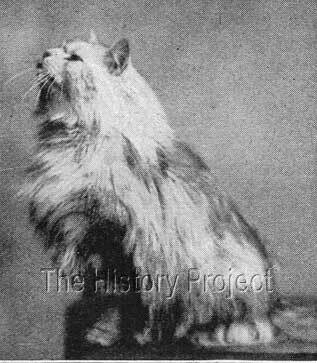 As for further show results, 'Monarch' is then known to have been exhibited at the second famous Crufts Show in March 1895, where he won the Beresford Challenge Cup for the Best Long-haired Cat, besides taking other honours. Again, we turn to the Registers of the National Cat Club, where we find four cats from two litters sired by 'Ch. Monarch'. Two images from the same article and periodical as that showing 'Ch. Monarch'. 'Ch. Monarch' (born 1893), comes from the early period of Blue Persians, when the first and earliest bloodlines were being established from a core of fledgling lines. In this case, as a son of 'Ch. Bundle', (born 1891), himself sired by Mrs. Pell's foundation sire, 'Thunder and Lightning'. This makes him a only a second tier Blue, from one of a handful of originating cats, from which all modern Persian cats track their heritage. 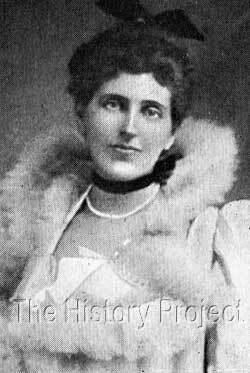 That Mrs. Morrison's cats contributed significantly to the expanding gene pool of our ancestral lines, is without question, and to date, largely unrecognised. 'Ch.Monarch' is just one of those contributors, albeit in a small way, but he is symbolic of the early work done by Mrs. Morrison, to establish the Persian as a premier breed of the Fancy.